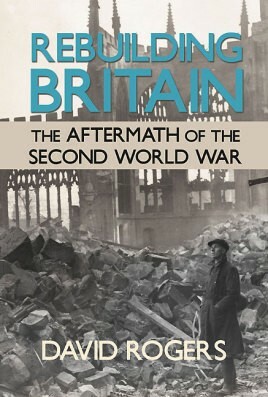 Undoubtedly, the Second World War was one of the darkest periods of history. With untold losses and countless with physical and mental scars, there was little to celebrate except the relief of closure. Yet what happened once the noise of the shelling subsided and the smoke dissipated? Certainly, late 1940s peacetime Britain was far from easy. Unemployment, power cuts, rationing, national service etc. were difficult to deal with, especially taking into account the physical nature of even some of the most basic tasks. As thoughts turned to recovery of such issues as the economy and unemployment, there was still a need to maintain the Services to such a level that they could provide a peacetime presence in the Rhine area, for example. Of course there were individuals conscripted during the war who were needed for some of the physical rebuilding programs, the release of whom required national service from the next generation of young men and women. The coal industry needed its men back in the mines, for example. The call up to national service and demobilization led to a steady stream of young men and women needing either training or an occupation in civvy street. This was at a time when Service numbers needed to be reduced! A difficult balancing act to say the least. The longer term issues of the day are still casting shadows - even now in the 21st century. For example, some of the concepts in the Education Act of 1944 are still used today and nationalization of our transport infrastructure continues to be debated. Not forgetting of course that the Welfare State and the National Health Service were founded in the immediate post war years. Although undergoing evolution with time, the basic tenants of their foundation are as relevant today as they always were. There is one legacy of the Second World War which has mushroomed into a world-wide phenomenon, that of the Paralympic Games. Rehabilitating returning Service personnel with spinal injuries often led to little by way of an active life. The work of Sir Ludwig Guttmann FRS, that of using sport as a means of effecting rehabilitation, has led to treatments beyond expectations.